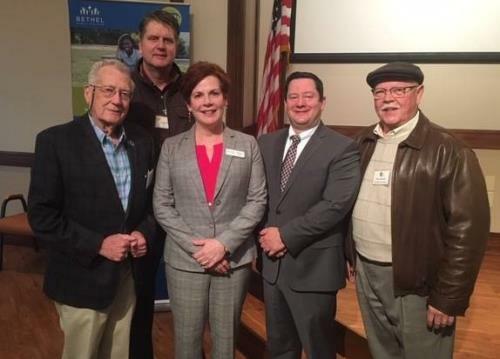 Pictured, from left: County Commissioner Greg Martin; Mark Godsey, president Gold Bond; David Queen, president Friends of Hixson; Patrick Johnson, director of Operations Memorial Hospital Hixson; Chip Henderson, City Council District 1. 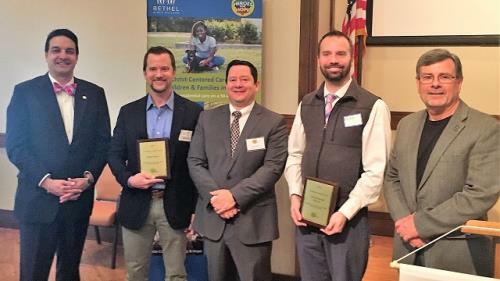 Friends of Hixson named CHI Memorial Hospital Hixson & Mark Godsey of Gold Bond the 2018 Community Impact Award Winners. Rosalind Connor, President & CEO Bethel Bible Village was the speaker at the 1st quarter Friends of Hixson community coffee meeting. Pictured, from left: Ed Gravitte; Donald Kane; Rosalind Connor, president & CEO Bethel Bible Village; David Queen, president Friends of Hixson; Michael Baskette.